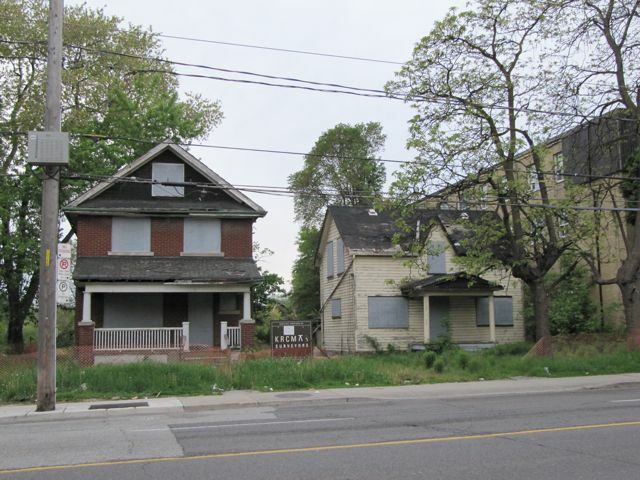 Laura Albanese, the MPP for York-South Weston, explained the status of 5 buildings to be ashamed of in Weston. There is much to be hopeful about. The owners of the Plank Road Building, which I recently visited, were ordered to begin the repairs that I saw. They were told to have an architect and engineer identify the problems with the building; the owners were to then fix those problems. According to Albanese, they have already repaired the floor joists and are to be working on the masonry and foundation. The owners refused to donate the crumbling building to the city, even though the community would have raised the money for repairs and turned it over to community use. The houses near collapse between 2270 and 2274 Weston Road were supposed to have been demolished to make way for a 12-storey seniors’ residence. The plan was rejected, however, in late 2009, and the owners have not resubmitted an improved proposal. 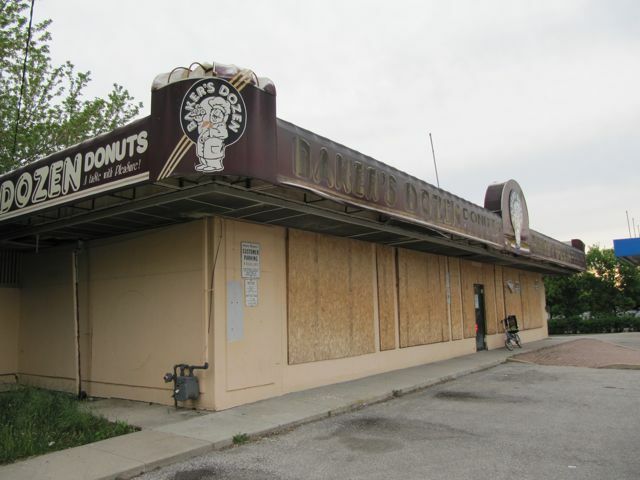 The donut shop near the 401 will be demolished to create a Shell gas station. Work appears to have begun on this property. On the one hand, I find it reassuring that local politicians and bureaucrats work to preserve the heritage and appearance of Toronto. And I must extend a heartfelt thanks to Ms. Albanese; her response to my email was extremely thorough and generous. Yet, on the other hand, I do find it discouraging that properties can sit for years, sometimes decades, and in the case of the Plank Road Building half a century without investment. It may reflect an inability of the government to apply pressure to developers; it certainly reflects developers’ lack of interest in the community. Developers only let a property be destroyed by time because it would cost more for them to improve or sell it. While real-estate speculation is as old as real estate, it has spillover effects that are obvious in Weston. These abandoned properties do not lose their owners’ money—if they did, the owners would be motivated to sell. But they certainly lose their neighbours’ money. Every neighbour is punished for the laziness, ineptitude, or avarice of the actual owners, but none of the neighbours has enough power to do something about it. And while it may not be illegal to be a bad neighbour, it remains a low-down and rotten thing to be. Good work! You’ve uncovered a whole pile of information and hit the nail on the head in your analysis of the collateral damage suffered by the community. Thanks for taking time and trouble. Your efforts are helping make the neighbourhood a better place. Thanks Adam for highlighting some of the ongoing issues we have with derelict property owners and the plight of the buildings. The Plank Road Building has been under our microscope for some time and we are pleased that the owners have finally paid attention to the repair orders. 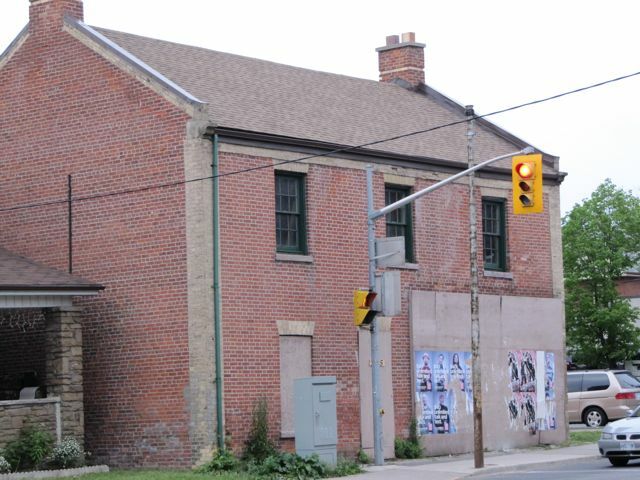 However, the way they have gone about the repairs are NOT necessarily in keeping with good heritage practices and they have NOT consulted with the Weston Historical Society nor Weston Heritage Conservation District to ensure that the right materials are being used. Preservation Services at the City has been contacted and they are watching carefully (we hope!). We look forward to seeing what the building will become once rehabilitated and wait with cautious optimism that it will enhance the community.